seProposals allows you to point and click to create proposal content and assemble proposals in a visually stunning PDF document that can be professionally printed, output on your office printer, or emailed. "This is the best quoting tool I have ever used!" There are so many things that I love about our program! Ease of use, surprise tools around every corner, the template features (less typing!! ), and the informational dashboard. I enjoy being able to use it at home when someone needs a proposal in a pinch in the evening or weekend. It beats running in to the office after hours! Our whole office loves the proposal system! There really isn't much room for dislike. The system will glitch on a rare occasion (it says OOPS...) but it's very rare and when we email for help, we receive a response back impressively fast!! Even more impressively from a different time zone!! Stop looking!! This is the company you want to work with!! You will not ever be disappointed! I honestly can't think of another company that was more pleasant to work with. It is stressful getting a new system set up, implemented and employees trained. The pros at seProposals made the entire experience actually fun and interactive! And when everything is all set up and working properly, they are still there, ready to help and checking in on us!! They are who you want in your corner!! Our old system wasn't very flexible at all. Worse yet, it timed us out, and we never knew how long we had (sometimes an hour, sometimes 5 minutes). If we weren't hitting save every minute, we risked losing everything! This new proposal system has solved that headache and has made proposal writing way more efficient. Realizing how strong this tool is, we have written standards for all of our complicated jobs and implemented theses standards as templates in the system! All our guys have to do is give us measurements to insert and voila!! A proposal that took our guys a couple days to work up and our staff an hour or so to type has now become an easy as pie process done in minutes!! What a gift!! "Effective, Targeted Proposal Automation that "plays within itself""
Me and my team work on proposals that combine a specific set of products that our company manufactures and integrates, along with products from other companies, as well as the services needed to integrate and service them over the solution lifecycle. "Automating" such solutions proposals is therefore quite difficult, because the configuration of products and services is variable for each customer, and our sales teams customize each proposal to reflect the specific configuration that they have designed and are pricing. seProposals' best and most salient characteristic is its focus. With it, our sales teams can pull content for the products and services that they are proposing, add content from third parties, modify our standard service content to ensure that each proposal is customized for the specific solution, and deliver it in an attractive, branded package--all without the help of a proposal manager or other proposal professional to help guide the process. We've tried other proposal automation platforms in the past, and they've erred on the side of trying to do too much. Either they try to handle solicited RFPs and unsolicited sole-source proposals all at once (driving up tool complexity and user learning curves beyond tolerance), or they try to address the entire sales process, from opportunity identification through sales capture (requiring the entire company to shift processes to accommodate the tool). seProposals focuses specifically on automating the content and format of unsolicited, sole-source proposals. This attention to a specific use case enables it to be slotted into an existing sales process without having a ripple effect on the rest of the organization, and enables sales teams to speed up their delivery of sole-source sales documents while leaving their RFP process unaffected. While seProposals can be modified to address RFP content as well (and we have plans in that area), we use it specifically for our large sole-source business, and it meets that need beautifully. The other strength to seProposals is the company itself. SalesElement "gets" proposals. Their sales team anticipates issues, suggests solutions based on their experience with other customers, and proactively develops customizations and enhancements to address specific pain points. We've been able to work with them in an open and transparent partnership throughout our implementation of seProposals, and I've always found them to be responsive to our needs--often above and beyond our expectations. Any issues that I've found in seProposals or SalesElement are more attributable to the complexity of our requirements, than to any limitations of the tool. In my opinion, it's the top product in the market from the standpoint of effectiveness and ease of use--supported by a company that engages in true partnerships with its customers. We sell complex solutions-oriented proposals incorporating products and services that are integrated for each customer on a semi-customized design basis. Prior to seProposals, we were developing each proposal on an individual level, through a process that included non-standard proposal content, custom levels of proposal management support, and significant time spent reviewing content for accuracy and applicability. seProposals has given us a platform to standardize that content, nearly eliminate the need for proposal management support, and significantly reduce the time needed for SME review of proposal content. In addition, it nearly eliminates the need for significant desktop publishing support by proposal professionals, while still turning out a professionally-branded document. 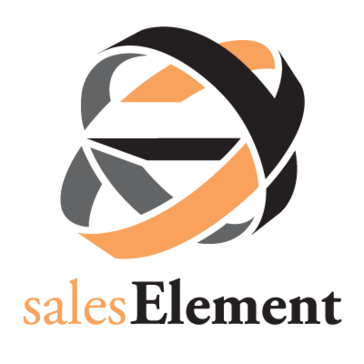 "Essential part of our everyday business"
The SalesElement team work with our company to develop the system we've been using now for over 8 years. We utilize the seProposals system for our everyday quoting/binding of insurance proposals. The system is easy to use and to train new employees. We have had relatively few instances of the system being down and in those rare occurrence, the salesElement team is in constant contact with us to resolve the issue. We've had the same salesElement team working with our company since the beginning, which ensure they understand our needs. No dislikes at this time. The system is used for our insurance quoting/binding/policy issuance processes. It is used each and everyday. Through the system we receive consistent, accurate products which reflect on our company's expectations of superb customer service. The staff is great to work with. Everyone knows the product very well. In addition to that the tool is awesome. I can get proposals out in a matter of minutes. There is not much to dislike about this product. It delivers on everything! Time invested and proposal consistency. We have found by using this tool we are able to increase margins and closing ratios due to the perceived quality of our proposal. "We use seProposals in order to extract data from Salesforce to create proposals." Time and attention to detail. They never close and they don't fatigue in the process. There is nothing about this system that I don't like. Follow their implementation advice. They know what they are doing in this area. We needed more efficiency in the proposal generation process. We've realized a marked reduction in proposal creation time. I like that the tool is user friendly. It does what it says it can do. * We monitor all seProposals reviews to prevent fraudulent reviews and keep review quality high. We do not post reviews by company employees or direct competitors. Validated reviews require the user to submit a screenshot of the product containing their user ID, in order to verify a user is an actual user of the product. Hi there! Are you looking to implement a solution like seProposals?